Customer feedback suggested that users prefer the previous method to change thread colors by double clicking the thread color. Therefore, this behaviour has been returned to ES e4.2 Update 1. Problems have been reported when exporting designs to ZSK 1 machine file format. When edited in e4.2, design colors are sometimes switched. This issue has been solved with the release of Update 1. Problems have been reported with incorrect recognition of certain combinations of empty jumps and empty stitches in DST files causing design integrity errors. This issue has been solved with the release of Update 1. Problems have been reported when opening DST files with Auto Connectors and Objects/Outlines options enabled. The software may hang or crash when re-exporting files to DST or EMB formats. This issue has been solved with the release of Update 1. Problems have been reported when adding text to some older designs. Text fails to be added. In some cases, new or duplicated objects are removed when ‘Create Text’ button is invoked using an old template. This issue has been solved with the release of Update 1. Problems have occurred in the font list of both Object Properties and Monogramming dockers. The opened font list fails to display normal font list and recent font list at the same time. This issue has been solved with the release of Update 1. Problems have been reported with the ‘Open Design’ button in Machine Manager. After opening Machine Manager and adding a machine, pressing the Open Design icon or using File > Open… has no effect. This issue has been solved with the release of Update 1. Problems have been reported with unexpected disabling of toolbars and menus when switching between operating modes. If switching from Design Library to Home Screen followed by Wilcom Workspace, toolbars and menus become temporarily disabled. This issue has been solved with the release of Update 1. 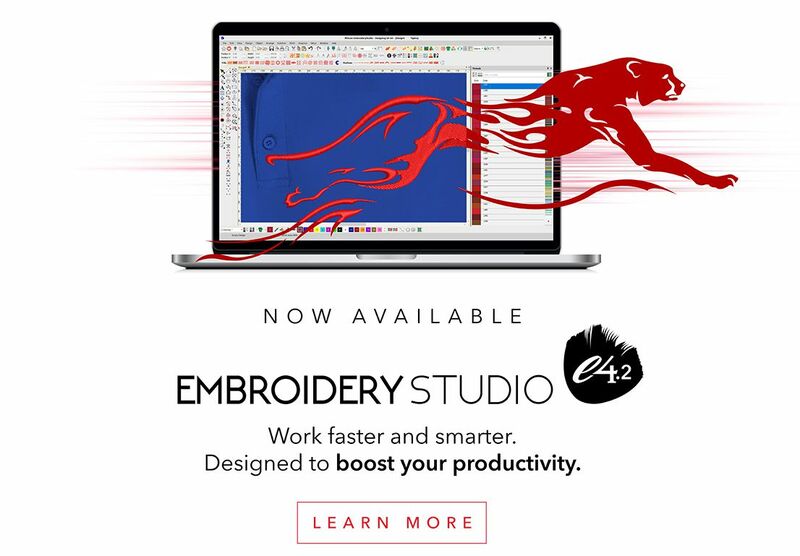 Update 1 for ES e4.2 will automatically download once you launch ES e4.2 if you have automatic download enabled. If not, visit the Wilcom Help site to download ES Update 1 for e4.2. Visit now. Enjoy and happy stitching! Thank you so much! That makes it so much easier when you have a large design to correct colors in.